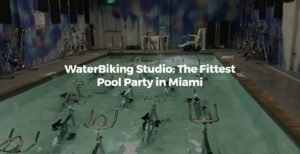 At WaterBiking Studio, we provide various low impact, high intensity workouts! Every body is invited and can enjoy our effective, accessible and unforgettable water workouts. We have brought the global sensation of aqua athletics to the Magic City with our all aqua-fitness studio. Our low-impact exercise routines not only tone the body and burn calories (twice as many calories as on land), but also improve joint flexibility and aid in active recovery. That means that anyone can get into our low stress and high intensity water workouts. With malleable scheduling and a wide array of classes, you may just find yourself cycling, stepping and boxing to our beats everyday of the week. 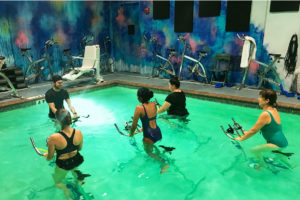 At Waterbiking Studio, we may stay in the pool to work you out, but we promise to go further in providing you effective, accessible and unforgettable water workouts. We’ll always tell you when it’s time to level up your game or to take it slow. We’ll give you props on your bathing suit beauty. We’ll stay after class to chat with you about your love life, your family, your fears and your dreams. We may even become your new best brunch buddy. 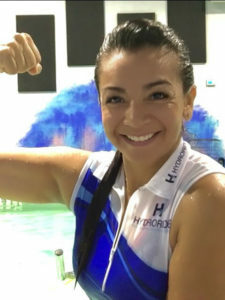 No matter what happens, we can promise we’ll always be here to inspire you to have a good time and get it done with a water workout that’s empowering and invigorating.